Hagan's busy with affairs of state so it falls to Teddy to review this...film. This film that Teddy doesn't understand. It's all about fan theories this week! Was everyone from every show really dead the whole time (and it was actually Purgatory)? Plus, why Hagan's fan theories belong on iO9 and this week's Doctor Who! A prediction for Avengers: Infinity War and what Id like to see in phase 4 of the MCU. 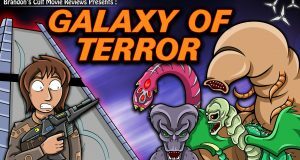 Alien knock-off month begins with "Galaxy of Terror" (1981), produced by Roger Corman! Timothy Zahn has returned to the Star Wars universe & Shaun is on hand to judge if the results are truly... art. This week we discuss why I don't want to be paid in livestock, the 'ad-pocalypse' and the long reach of the bitchslap of the hand of the free market, and this week's episode of Doctor Who: Smile. Jim Carrey's breakout film role was a vampire movie. Just how well has it aged since the 1980s? 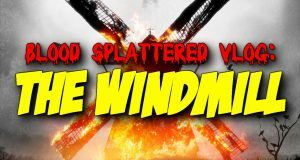 This week The Horror Guru reviews the Dutch slasher flick THE WINDMILL! Doctor Who is back for Peter Capaldi's last season and we nitpick! Also: Guardians of the Galaxy 2, all 17 of Marvel's streaming series, and are YOU a Squirrel Girl poser?